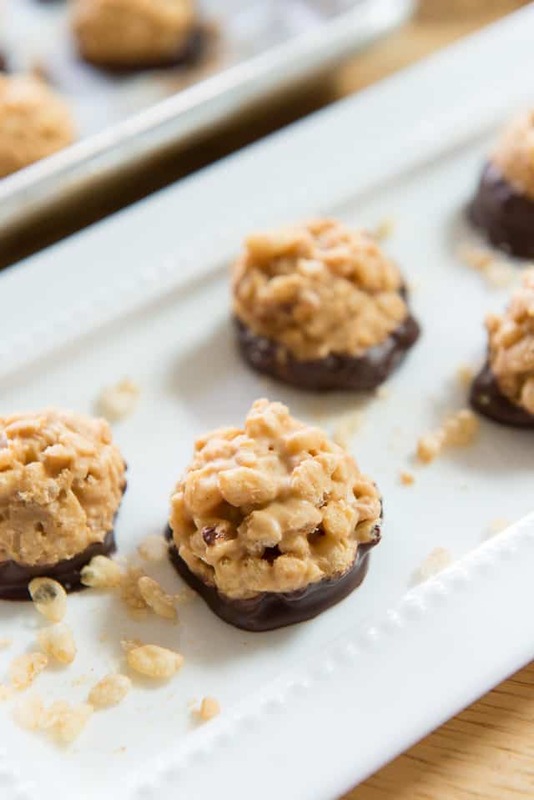 These Peanut Butter Bon Bons are crispy chocolate peanut butter heaven! A homemade candy bar of sorts, they’re made with crunchy rice cereal mixed with sweet peanut butter, and dipped in chocolate. Say hello to one of my favorite Christmas treats ever! I had no idea these existed until a couple years ago, when I had dinner at my friend Mariana’s mom’s house. She had a batch of these leftover from a Christmas party. When she put them on the table after dinner, I went absolutely bananas for them. They had a crispy crunchy texture, and that classic Peanut Butter + Chocolate combo that I always fall for. I begged her to tell me how she made them, and I was shocked at how simple they sounded. 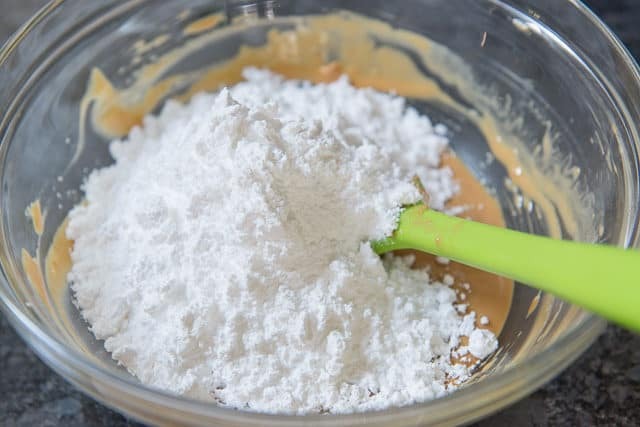 There are only 5 ingredients involved, so they’re really easy to make! 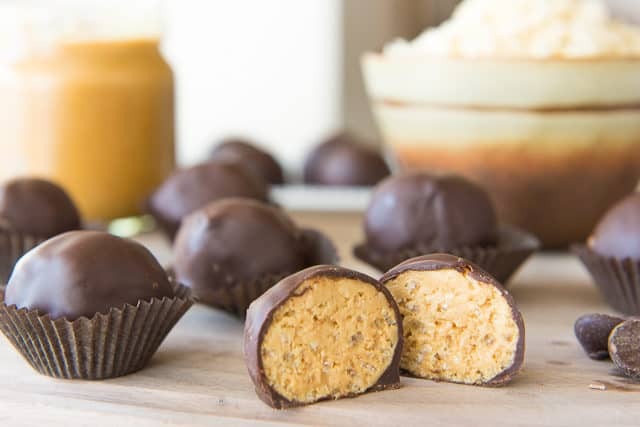 As soon as I got home from dinner, I googled Peanut Butter Bon Bons and started testing out different variations. 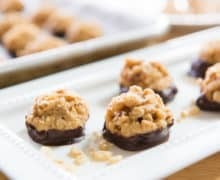 I shared a version of them on my Youtube channel a few years ago (that’s made slightly differently than these), but this is the most fuss-free and delicious version that I’ve arrived at. 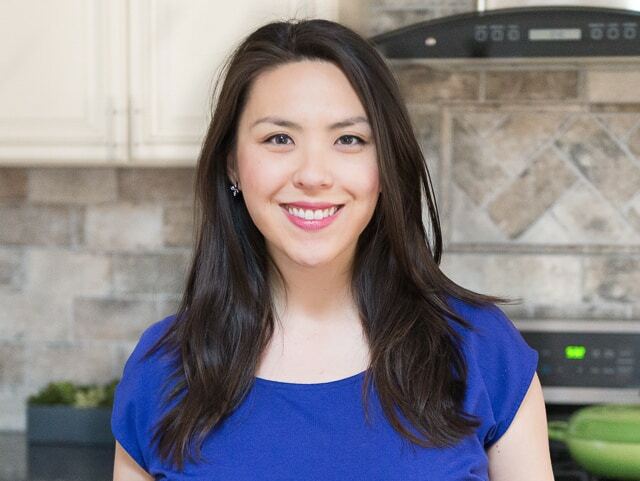 First, start by combining melted butter (or coconut oil for dairy-free), and peanut butter. 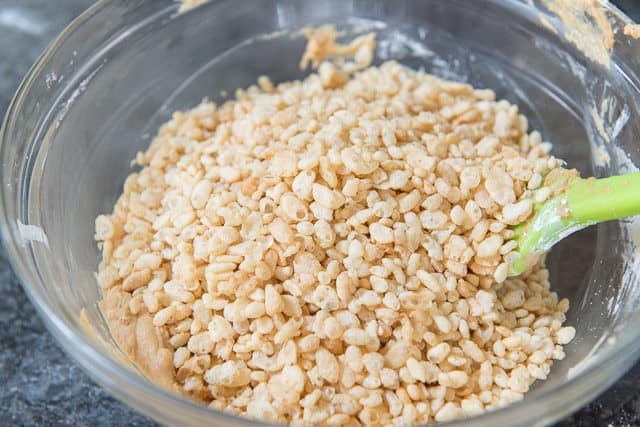 And a quick tip: If it gets difficult to stir, simply microwave the mixture for 30-60 seconds and it will soften up again. If desired, you can roll them into ball shapes, but I’ve started skipping that since it’s much more time consuming. Lay the dipped bon bons back onto the tray, and chill for 30 minutes to allow the chocolate to set. Then it’s ready to enjoy! I would roll each scoop into a ball, then dip the entire thing in chocolate. I like the new way I shared in this post because it’s much less time consuming. I also like that you have a very clear view of what’s inside. But the choice is yours, my friend. Enjoy! My other favorite yearly Christmas treats are Chocolate Candy Cane Cookies, Butter Swirl Shortbread Cookies, Pistachio Snowball Cookies, and Chocolate Crinkle Cookies. 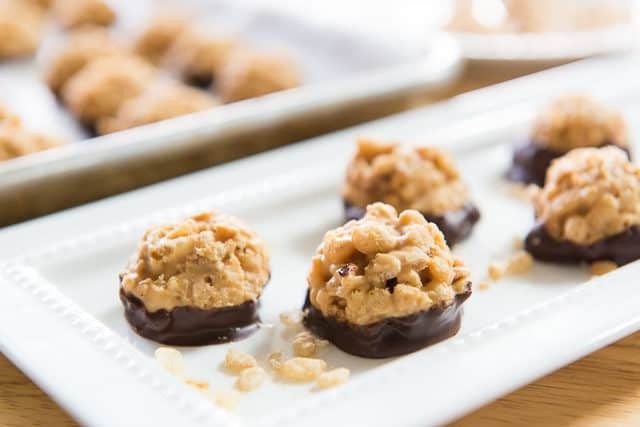 These Chocolate Peanut Butter Bon Bons are crispy chocolate peanut butter heaven! 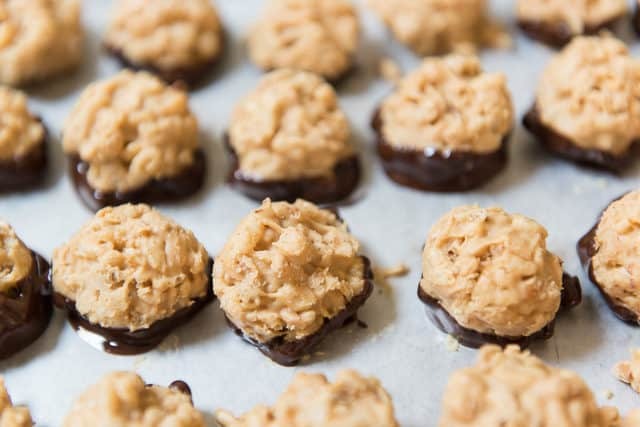 A homemade candy bar of sorts, they're made with crunchy rice cereal mixed with a sweet peanut butter mixture, and dipped in chocolate. 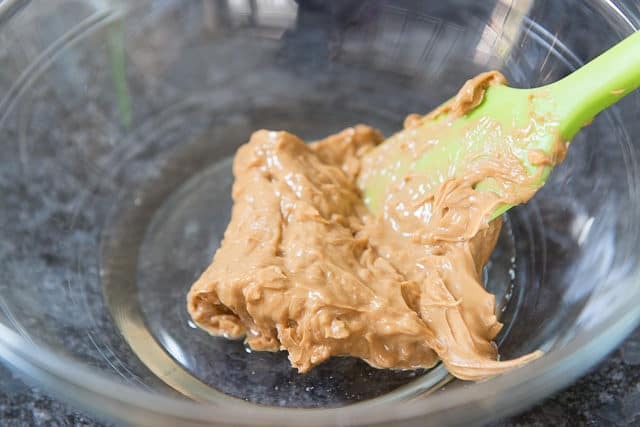 In a microwave-safe bowl, whisk to combine the melted butter or oil and the peanut butter, until smooth. Stir in the confectioner's sugar. 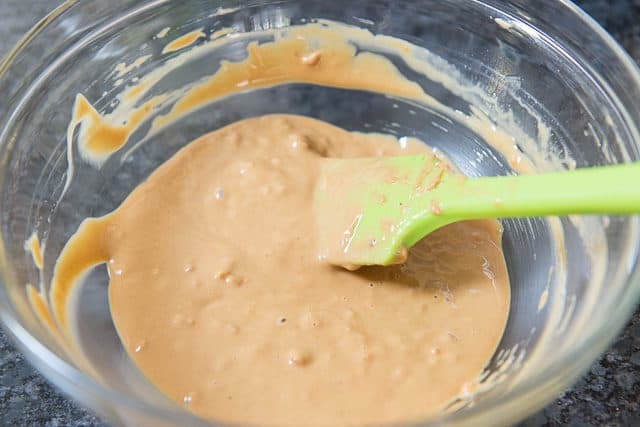 If it gets difficult to stir, microwave the mixture for about 30-60 seconds, until hot and smooth. 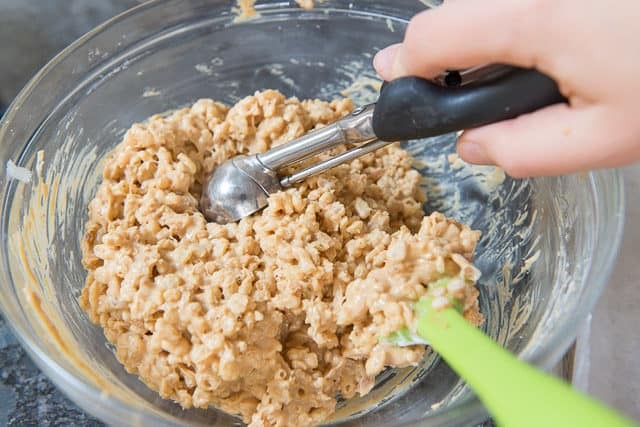 Stir in the rice cereal until evenly coated in the peanut butter mixture. 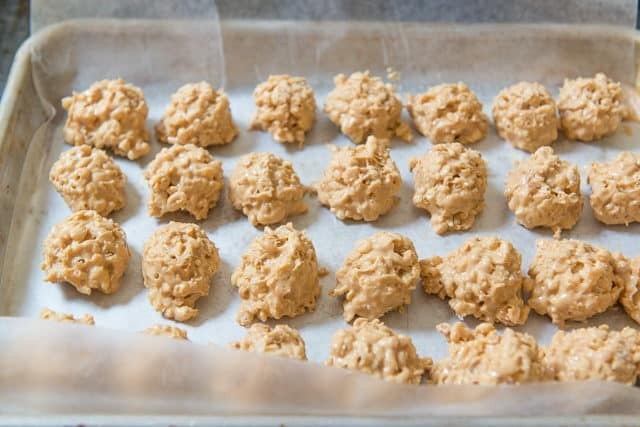 Portion the mixture into 1-inch balls or scoops and set on a wax paper-lined baking sheet. Chill for 2 hours, until firm. 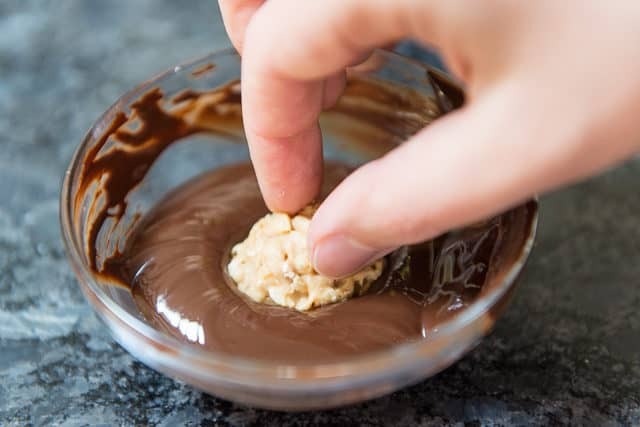 Melt the chocolate in the microwave in 30-second intervals, then dip each ball in the melted chocolate. Chill in the fridge for 30 minutes so the chocolate can set. Enjoy! These look amazing! What brand peanut butter do you use? Thank you! Hi Amy, I’m sorry I missed this somehow! 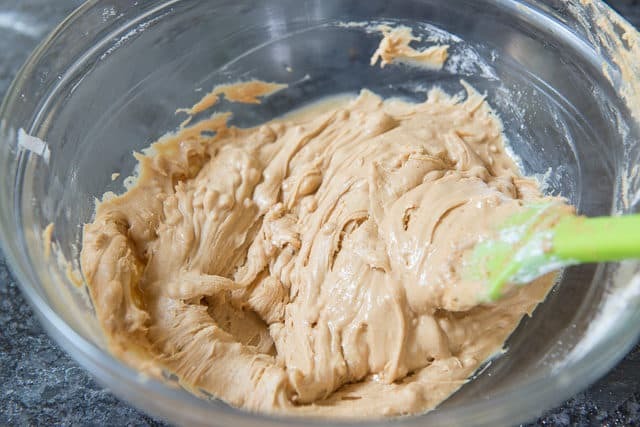 The brand I use varies, but I always get the one that’s smooth just like the ones that have hydrogenated oil, but instead blend with a little bit of oil and sugar. I try to avoid hydrogenated oil because of trans fat, but I don’t use the fully natural one either that’s just ground peanuts. Skippy, Trader Joe’s, Jif, and other brands have the kind I use. Does the help? Loved these! So simple and the PB chocolate combo is perfect!